Recalling his first visit to the fishing village of Ogunquit, Maine, in 1888, Massachusetts-born painter, Charles Woodbury, described the area as “nothing but a cluster of fishermen's dwellings.” He went on to say, “The only place to stay was the old Ogunquit House in the village. They told me it had been a great season. Four strangers had been there." The local residents had no inkling that the fifth stranger to visit that year would create an art school that would not only increase the volume of visitors to Ogunquit but also influence the future of American art and art education. Charles Woodbury gave his enterprise the official name of The Ogunquit Summer School of Drawing and Painting. It would become known, colloquially, as The Ogunquit Art Colony. And, it would be the first of many art communities to follow, including legendary Monhegan Island, the Skowhegan School of Painting and Sculpture, and the Haystack Mountain School of Crafts. 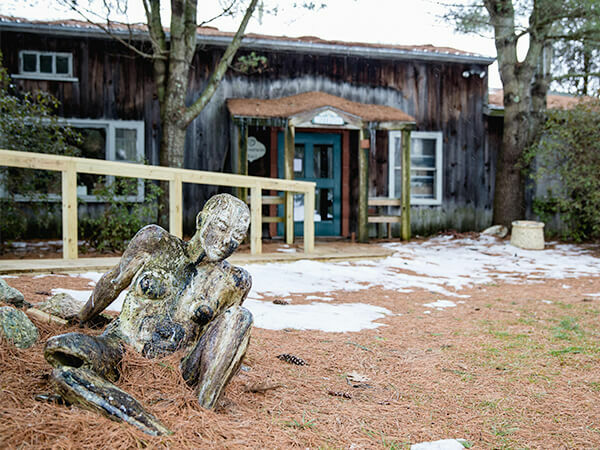 Some of the original places, such as Skowhegan and Haystack, remain active schools with world-renowned teachers and artists-in-residence. Others, including Ogunquit and Monhegan Island, have evolved from the art colony model into the wider framework of art communities. All have transcended their original spaces to influence generations of artists in America and the world. "Becoming an artist is a risky thing to do; being one is much riskier. Skowhegan seems to foster an attitude of risk-taking of all kinds, and this may well be its lasting contribution." The inspiration and passion that created and empowered the original art colonies of Maine is as alive and vibrant today as ever. Let’s take a look at two of the successful art community entities in today’s Maine where the flames of inspiration continue to burn brightly. Beginning with a place that literally uses flames – big time – in the rendering of its unique and authentic creations. Their website opens with a definition: “Watershed: A time when an important change happens.” For Claire Brassil, a painter who grew up in Newcastle, her Watershed moment came in the winter of 2012. After having spent time in New York, painting and teaching, she had returned to Maine and was working in her studio when she received a call from George Mason, a founder of the Watershed Center, whom she had known since childhood. George asked Claire if she’d be interested in doing some work with Watershed. One thing led to another and Claire came home to work for Watershed as the coordinator of the artist residency program. But joining Watershed isn’t as much about going to work as it is becoming part of its mission as a community for artists who create with clay. 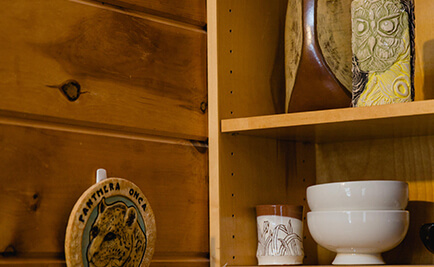 "With ceramics there’s a sense of connection and community. 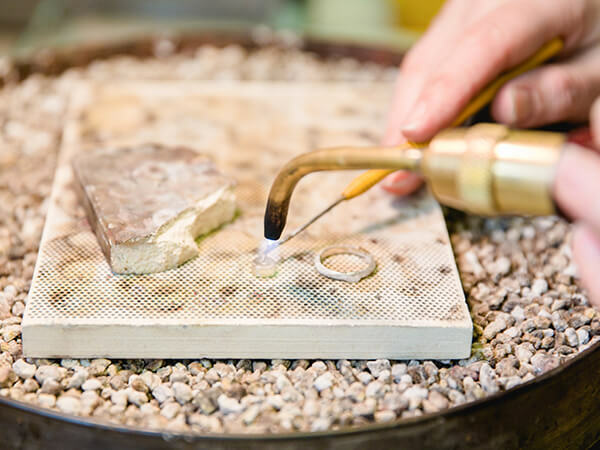 So much of the process is communal, from the firings they have to do together, the understanding of glaze chemistry, and the sharing of ideas. It fosters this great dialogue among the artists." There’s a lot of “taking in” to do. Watershed is located in MidCoast Maine on 32 beautiful rolling acres with nature trails, ponds and streams. During the summer months and into the fall, the resident artists live in rustic but comfortable cabins and do their hands-on creative work in a 16,000 square foot studio – a chicken barn in a previous life. Adjacent to the studio are two wood kilns as well as gas kilns and an array of electric kilns. But it all starts, of course, with the clay. “It’s a unique earthenware clay that comes from the glacial marine flats of Maine,” Claire informed us. “We process it here and the artists enjoy the idea of using the Maine land itself in creating their work.” For a state that prides itself on its authenticity and uniqueness, you’d expect nothing less from its clay. Also unique and authentic is a special event hosted by Watershed on the second Saturday of July each year. Its “Salad Days,” a celebration of local food and handcrafted ceramics, featuring 500 uniquely designed plates commissioned from a resident artist. The event is open to the public and draws enthusiastic crowds hungry for a taste of the local farm-to-table movement and a piece of artwork to take home. 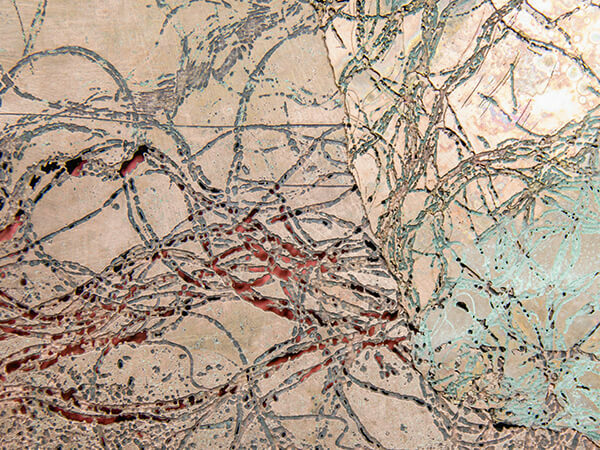 The influence of Watershed on the ceramic arts community in the MidCoast and throughout Maine is profound. 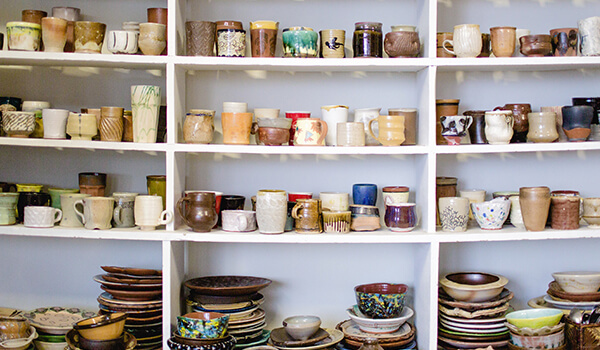 There are more than 35 ceramics studios with connections to Watershed – many of them run by homegrown artists and others by those who came from farther afield and were inspired to stay. Watershed offers visitors the opportunity to experience the grounds, facilities and artists at work each Tuesday in July and August – as well as workshops and youth education programs. And, of course, you’re invited to all of it. But keep in mind that inspiration is waiting everywhere. Who knows? You might be walking on one of the Watershed paths and staring out into a field of wildflowers when you have a sudden idea that will change everything. Imagine 50 artists all working under one roof, in forms and mediums as diverse as the personalities of the creators. Now imagine all these creative temperaments not only getting along but collaborating, bonding, encouraging, pushing, daring one another to do great art – with an occasional clink of champagne glasses. Kate Anker not only imagined it, she made it happen. Cheers to Kate. 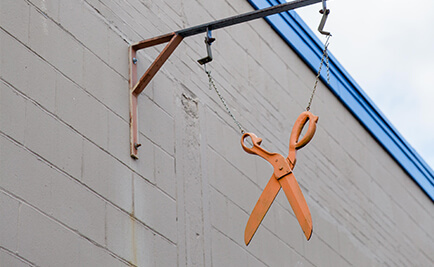 And welcome to Running With Scissors (RWS), an artist studio collective in the industrial and creatively eclectic East Bayside neighborhood of Portland. 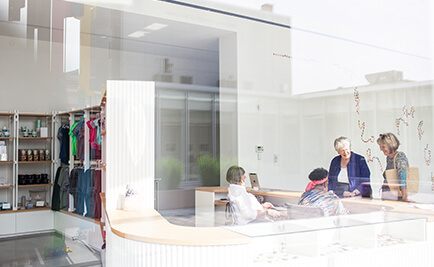 As Director of RWS, Kate Anker has the responsibility of managing a business and mentoring and advocating for the dozens of artists who come to create in the 16,000 square foot co-op every day. But it’s not exactly one big group hug. This is serious work, from a wide range of serious artists. The physical space bears that out. There’s a wood shop, a print shop, a classroom area, light tables, an exhibition hall. 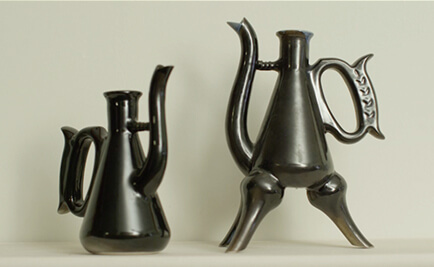 RWS is also home to the Bayside Clay Center and its kilns, worktables and wheels for up to a dozen ceramic artists. And then, there are the fifty individual artist studio spaces. If the words “hive of activity” come to mind, Kate Anker has already gone there. "It’s a very organic thing that just happens – having your studio door next to another artist. It speaks to the Maine spirit of open doors. You see it every day in how people treat each other with respect and a real interest in what they’re doing." Sounds like a model that could also work pretty well outside the walls of Running With Scissors. It can, and it does. In fact, many folks see the studio as a microcosm of what’s going on not only in the immediate area, but also in Greater Portland and for that matter, Maine. Speaking of artist colonies – the modern day incarnation – Running With Scissors, has plenty of company. 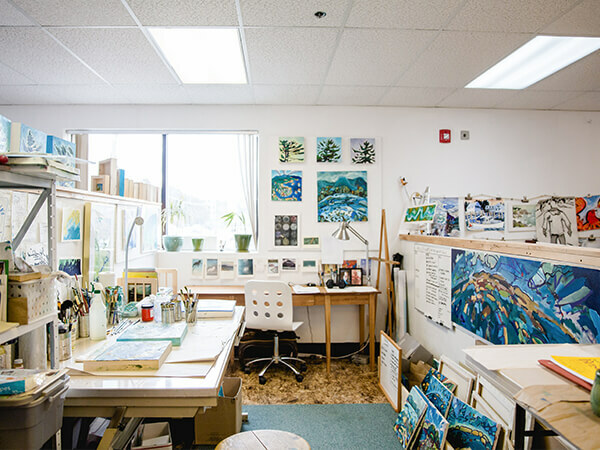 There are numerous co-ops and group studios throughout Maine, each with its own identity and personality, but all inspired by the rising tide of the contemporary art movement in Maine. Many offer programs, classes and unique experiences for working artists and visitors. Now it's time for that big group hug. As a subscriber to Maine’s open door policy, Running With Scissors opens its own doors to visitors for a number of special events during the year. The new CMCA will serve as the centerpiece for Maine’s contemporary arts and as a touchstone for the artists who are creating great new work – some right now – throughout the state. 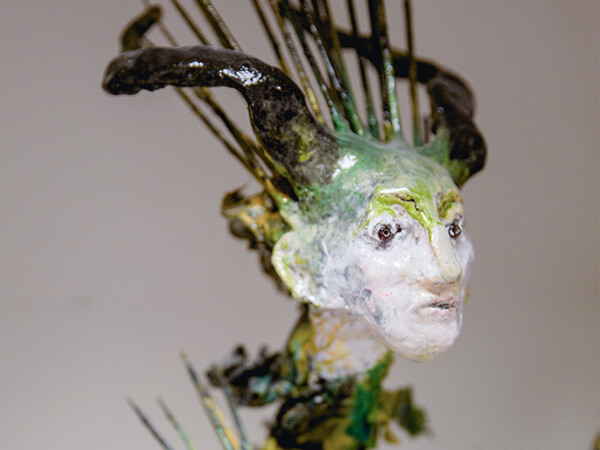 CMCA is the longest running institution dedicated to contemporary art in the state. Since its founding in 1952 as an artists’ cooperative known as “Maine Coast Artists,” the center has been a showcase for the work of Maine’s most locally and globally influential artists, including: Alex Katz, Louise Nevelson, Fairfield Porter, Lois Dodd, Alan Magee, John Walker, Neil Welliver, Robert Indiana, Jamie Wyeth. We could go on and on. With the new center in Rockland and the growing – and buzzing – contemporary arts community, CMCA will go on and on too, making art history all over again.